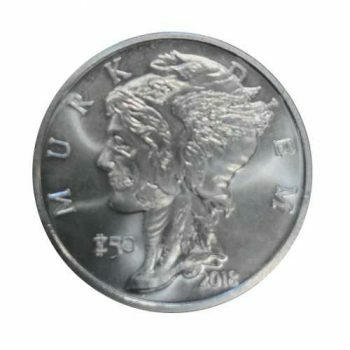 The 2019 1 oz American Silver Eagle Coin is sourced and minted right here in the USA! The American Silver Eagle is highly coveted by collectors and investors for its production quality and sovereign government backing. 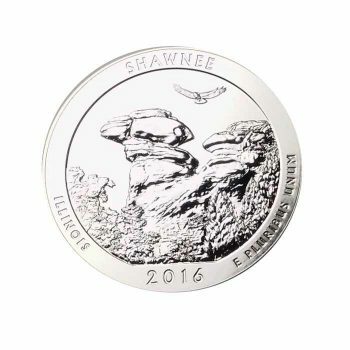 Manufactured at the US Mint, this 2019 ASE is composed of 1 troy ounce of .999 fine silver mined exclusively in the United States. Designed by Adolph A. Weinman, the obverse features the elegant Lady Liberty walking toward a sunrise with her right arm outstretched, representing hope of a brighter future. The Stars and Stripes wave at her side as she clutches branches of laurel and oak in her left hand. 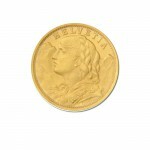 This design is among the most beautiful in US coinage history! 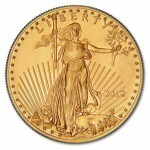 John Mercanti created the reverse that features the iconic eagle and shield design. The spread-winged bald eagle holds a banner in its beak that reads “E PLURIBUS UNUM,” while also holding arrows and an olive branch in its claws. 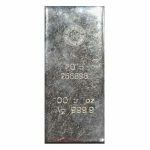 Inscriptions of “UNITED STATES OF AMERICA,” “1 OZ. FINE SILVER” and “ONE DOLLAR,” along with 13 five-pointed stars, complete the design. The American Silver Eagle is the official silver bullion coin of the United States, and is featured prominently in many investment portfolios. 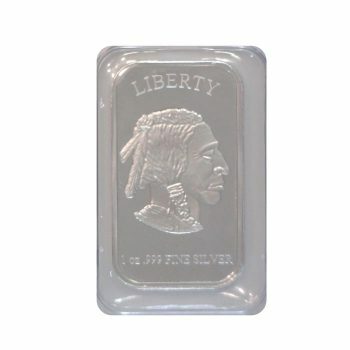 This US Mint bullion coin is backed by the United States government and has a face value of $1, however its intrinsic silver value is much higher. 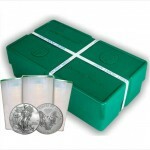 The American Silver Eagle was first minted in 1986 by the US Mint. After Senator McClure introduced a bill that authorized the disposal of the national stockpile through coin sales – which was amended in 1985 – the iconic American Silver Eagle has been a mainstay throughout the industry ever since. 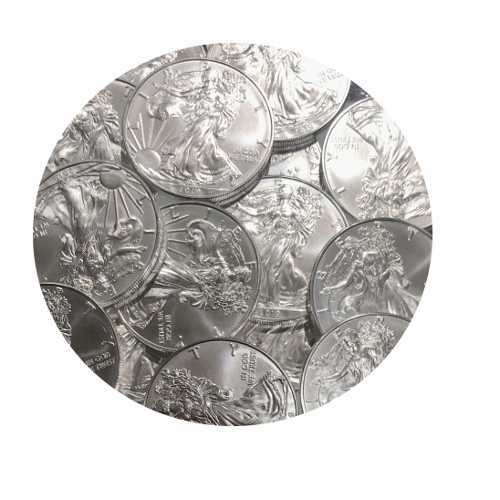 2019 American Silver Eagles will ship in Brilliant Uncirculated condition, as we receive them from the mint. 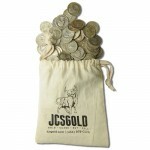 Individual coins ship in plastic flips and multiples of 20 ship in mint plastic tubes. 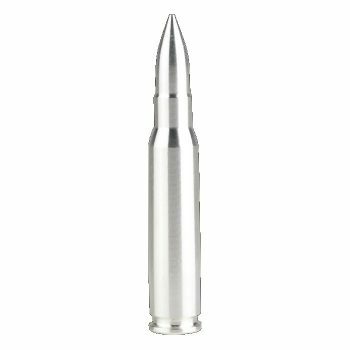 Don’t forget to protect your investment with a 40mm Silver Eagle Air-Tite Coin Holder. Buy 2019 Silver Eagles and give your investment portfolio a tangible, everlasting asset. Order one here today or call 434-979 COIN (2646) for questions or to order over the phone. Be the first to review “2019 1 oz American Silver Eagle Coin” Click here to cancel reply.